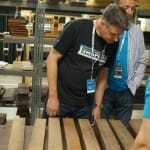 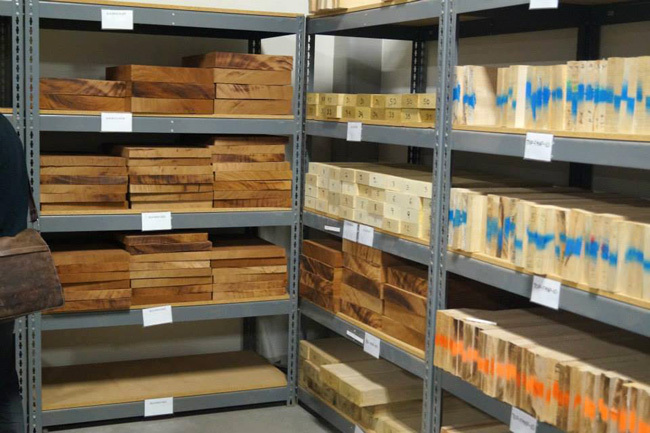 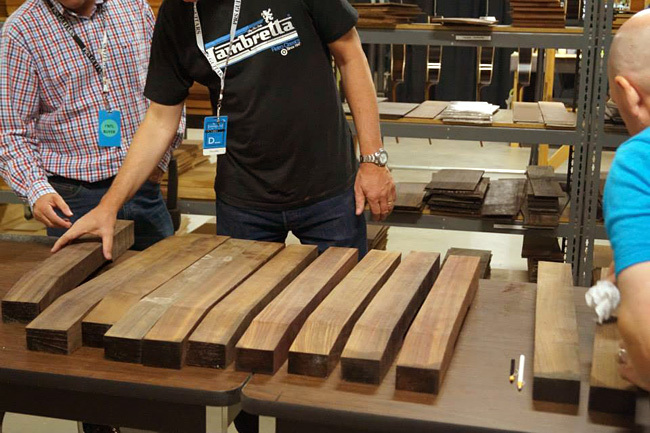 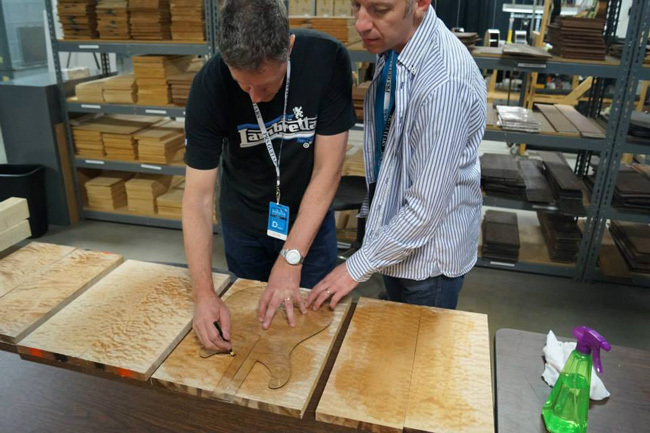 On a visit to the PRS Factory in late 2013, Sound Affects Owner Tim picked out some very special woods for a Limited Run of guitars just for us. 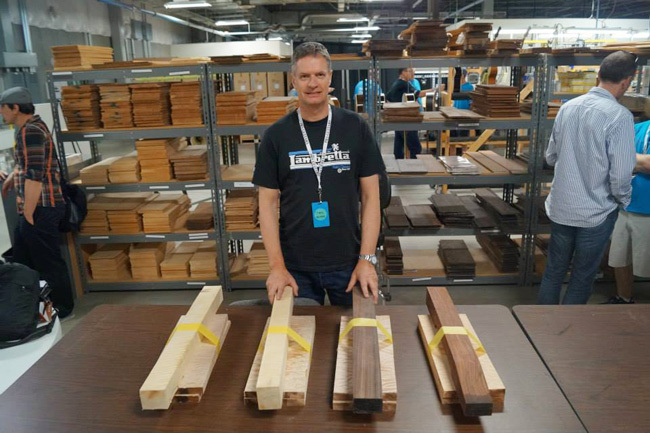 We have ordered two 408 Models with Flame Maple Necks called “Sam’s Blueberry Pie” and two Custom 24 Models with solid Rosewood Necks called “Sam’s Burnt Blueberry Pie” – as you may have guessed they are all finished in the Private Stock colour Blueberry. 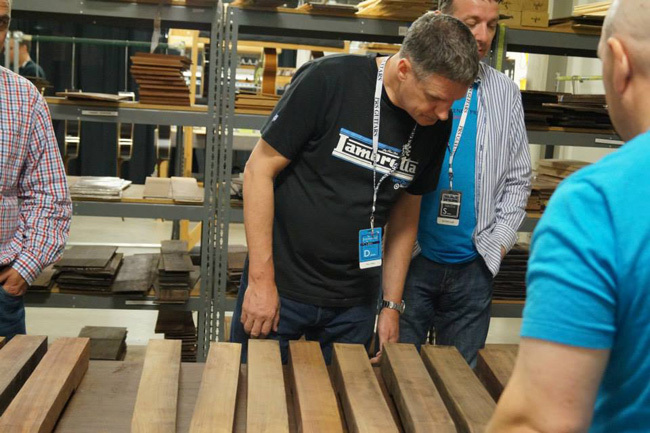 There are various shades of this colour, but ours are going to be very blue. 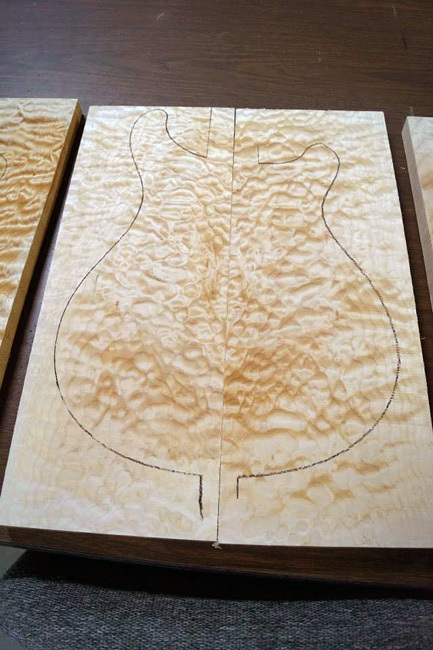 These Guitars are expected to be with us in early July 2014, Tim has already snaffled one of the 408 models for himself but we still have one 408 and two Custom 24 guitars available. 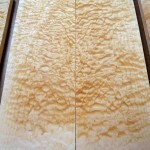 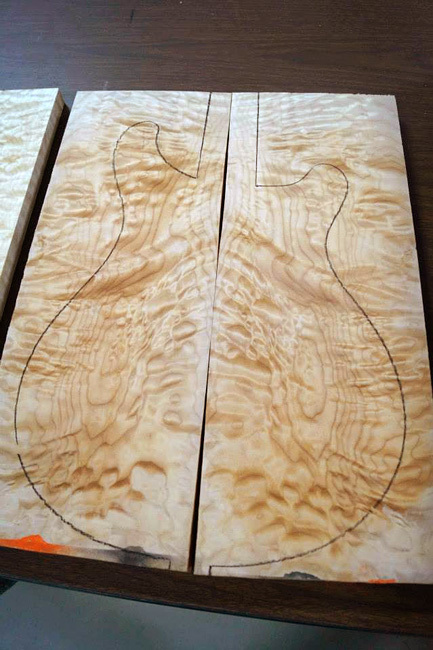 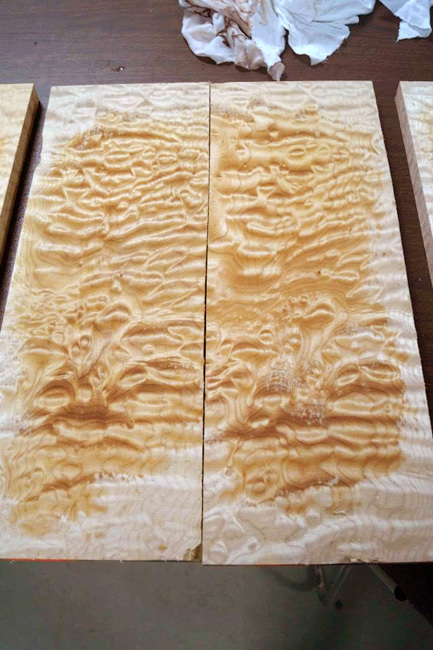 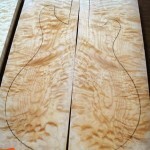 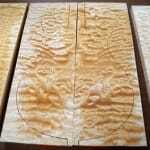 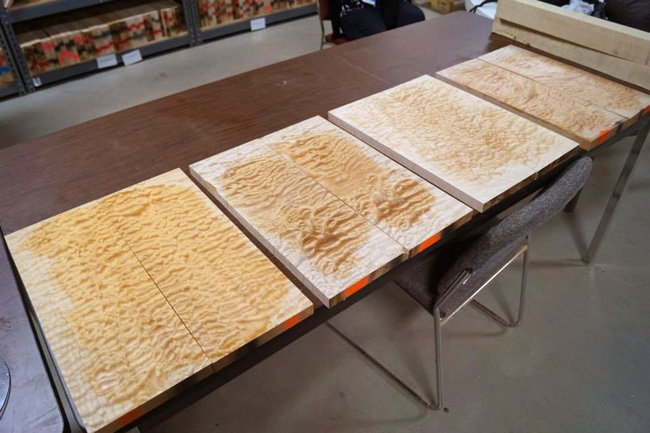 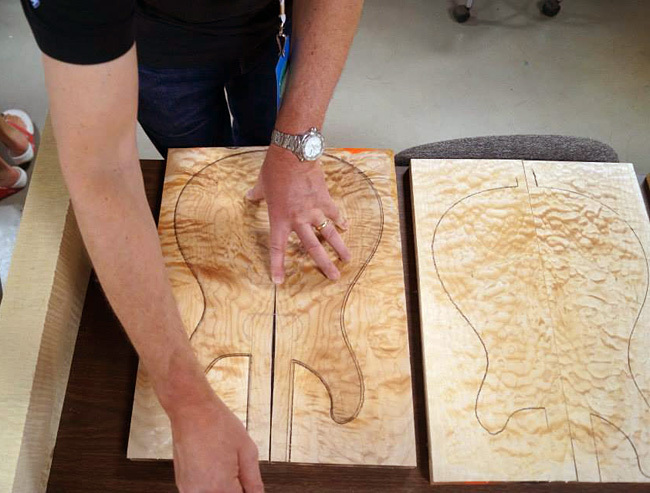 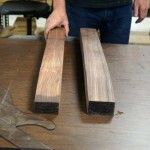 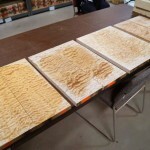 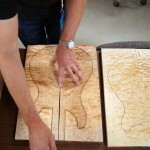 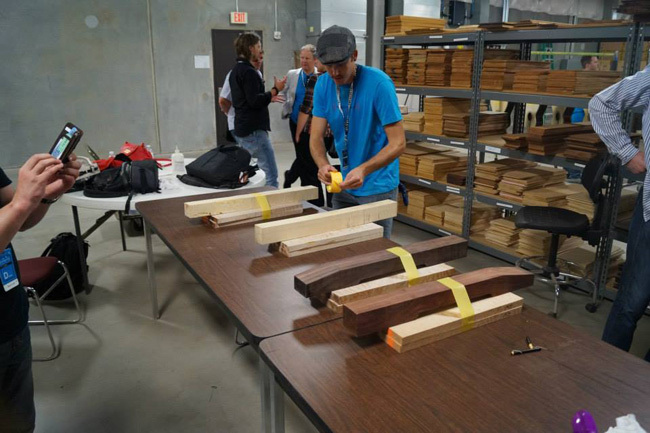 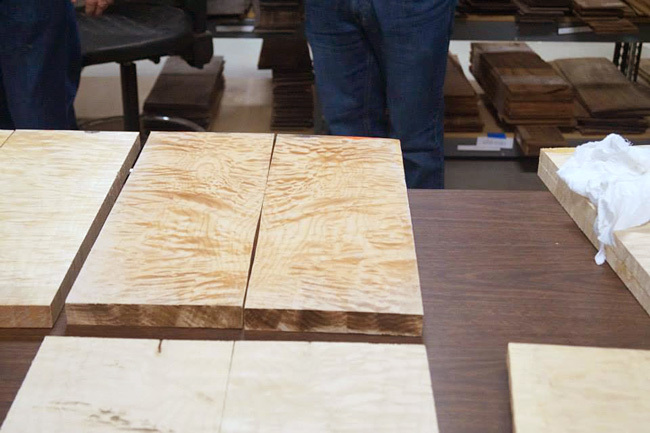 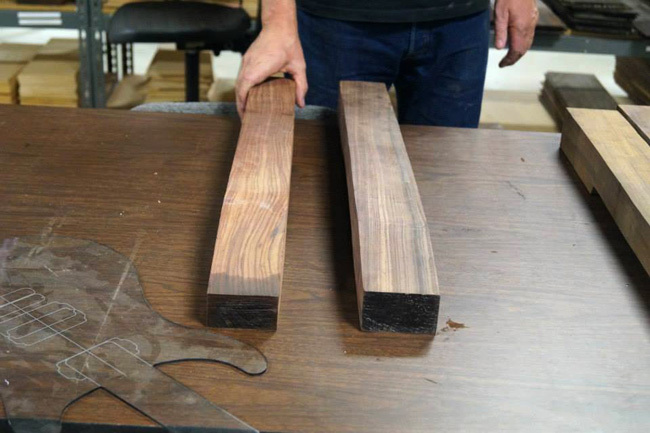 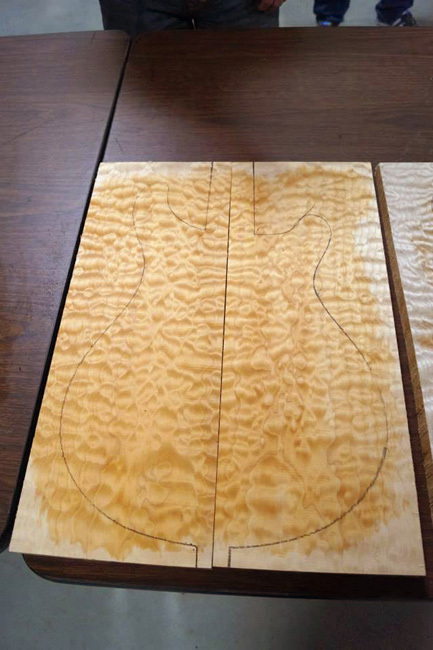 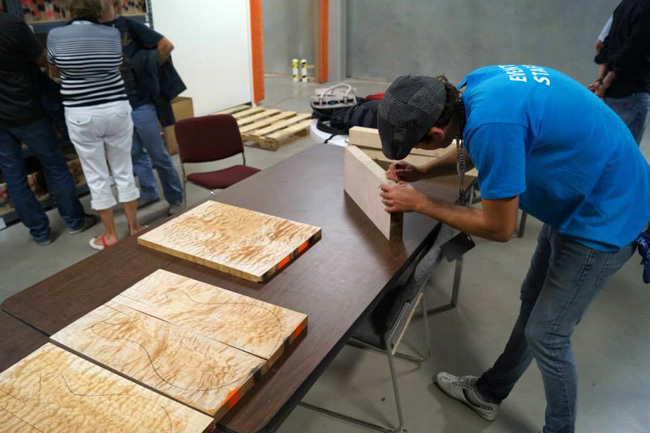 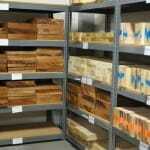 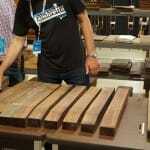 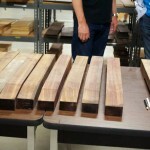 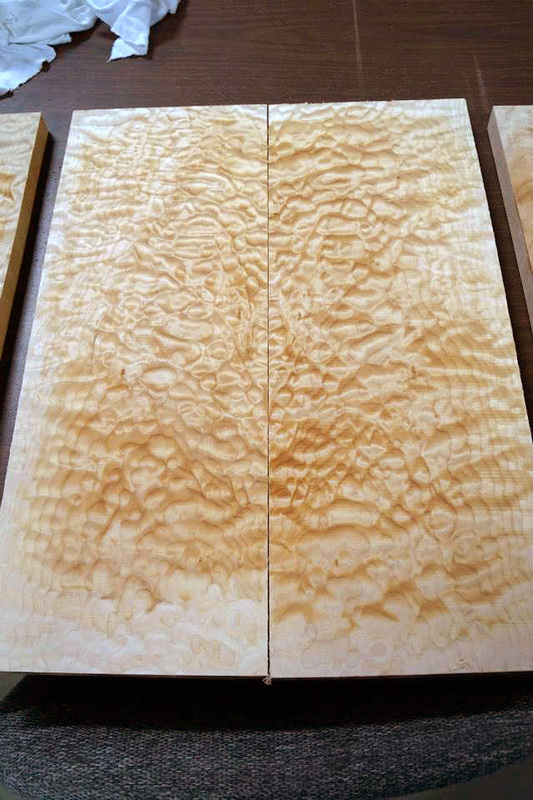 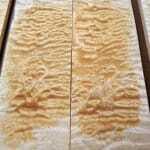 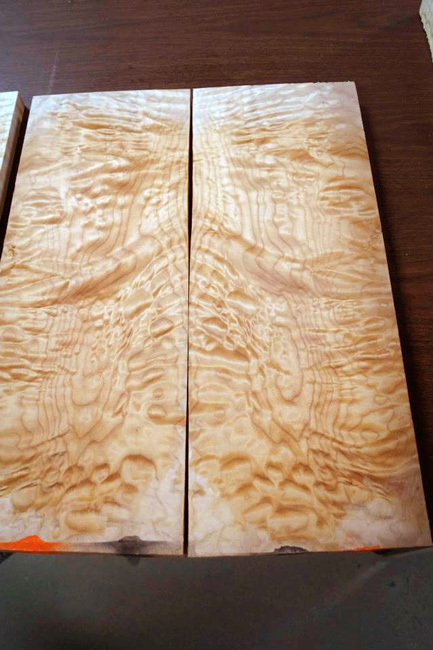 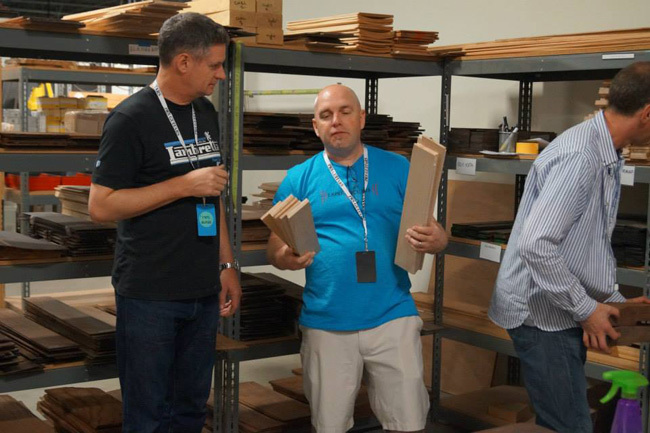 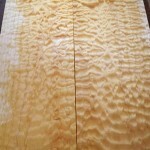 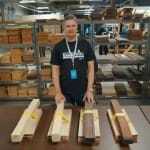 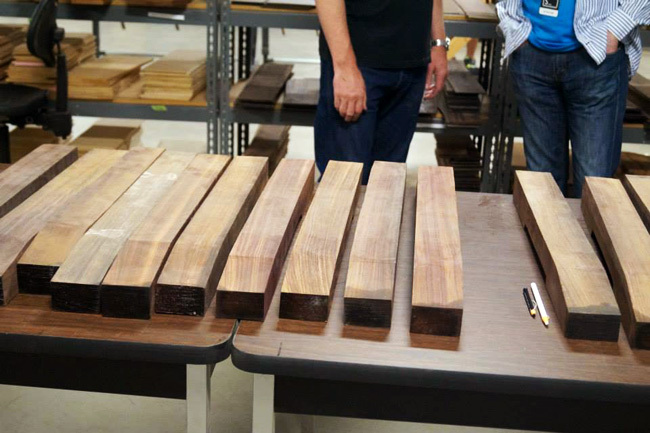 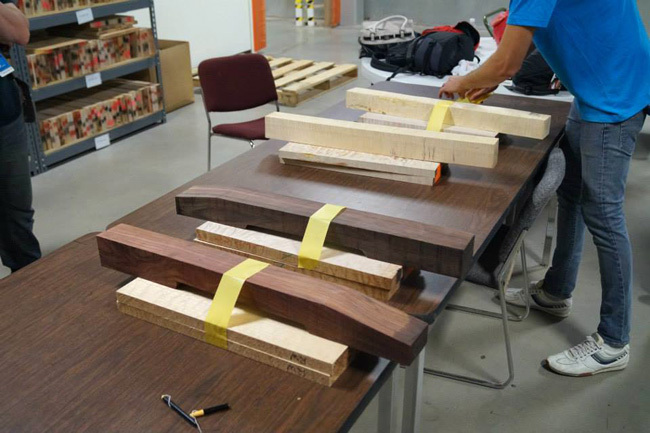 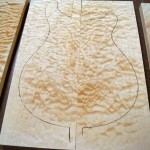 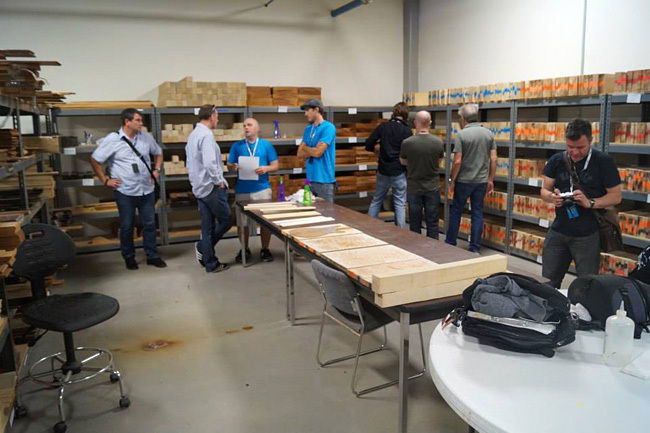 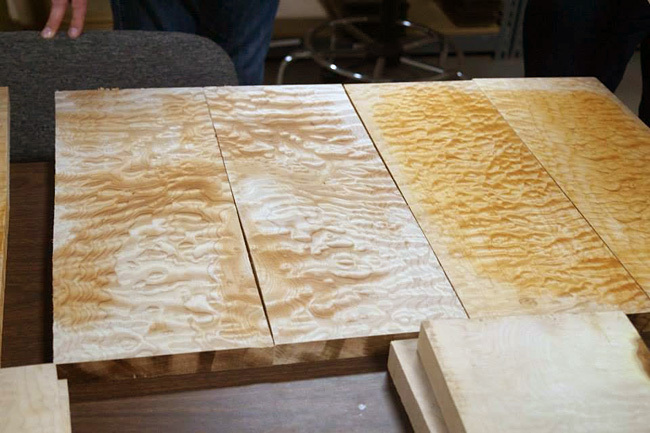 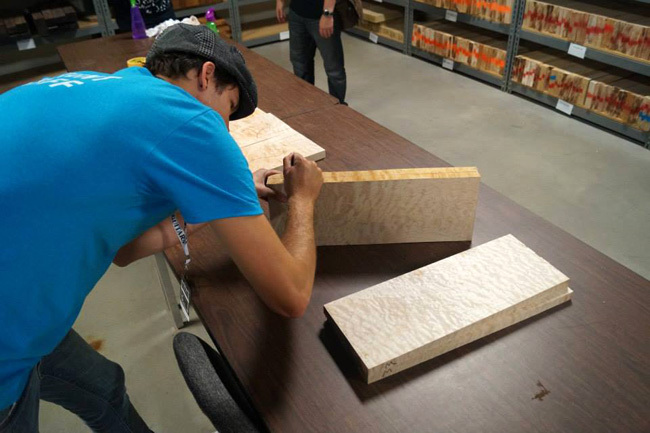 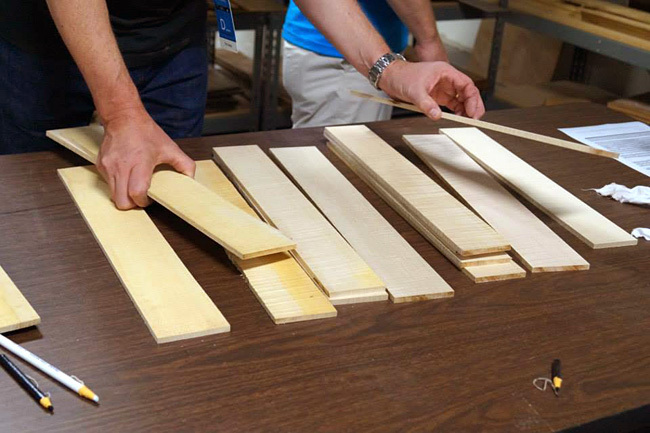 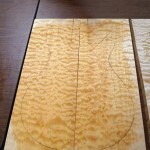 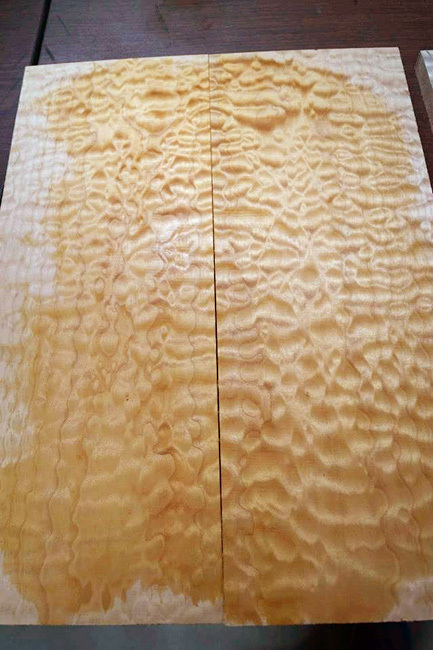 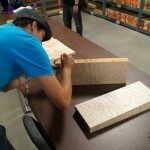 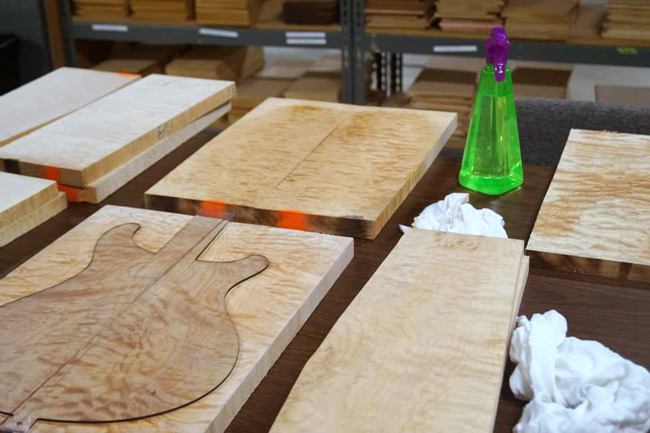 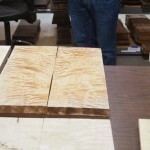 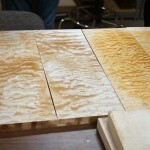 Here are some photos from our visit to the PRS factory in Stevensville USA where we picked the woods. 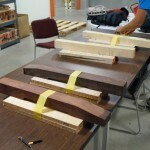 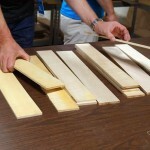 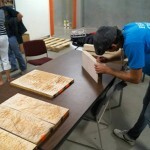 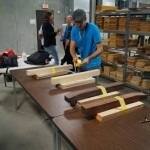 It’s an interesting process, and its rare that you get to actually pick the woods out personally from the wood library. 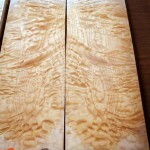 Tim was 50 last year so as the old man of the shop, he was afforded this luxury! 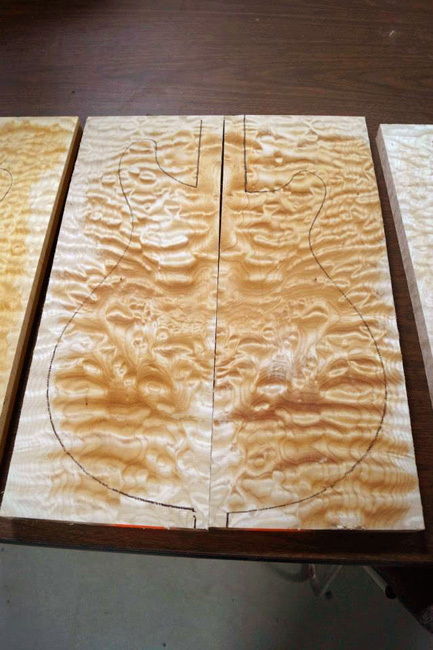 The tops on these are absolutely stunning! 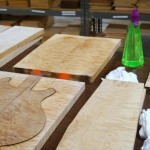 They will all have hybrid hardware and pattern thin necks.